A reader was travelling in a major municipality recently and was stopped in a large collection of vehicles waiting for a red light at the intersection of two multiple lane highways. Emergency vehicles using lights and sirens approached from the rear and tried to get through the traffic and the intersection. There was significant difficulty and the reader was curious how far forward vehicles could move into the cross flow of traffic to assist in clearing a path. It’s a good question as I’m sure that we all want to do what we can to accommodate emergency services when someone is in need. However, does it mean that we should try to force our way through the red light and risk causing a collision to do so? The obvious is to state that there is no exemption from having to remain stopped at the intersection when we are facing a red light. For the average driver in a car or light truck, this should not present much difficulty if good driving practices have been followed. Drivers in the front rank will have stopped behind the marked stop line. Generally this will leave at least a vehicle length of open space in front of them to move into without encountering cross traffic. Each subsequent vehicle, having stopped so that the driver can see pavement between the front of their hood and the back tires of the vehicle in front of them now have room to move to the side as well. In the case of a divided street, the left lane goes left and the right lane goes right. Otherwise, everyone moves to the right. In either case, using your signal lights will tell everyone else that you have recognized the situation and warn them of what you intend to do. Once the movement is complete, there is usually enough room for the emergency vehicles to go up the middle or use the left lane. The most likely difficulty would occur when a long commercial vehicle is part of the group. They need more space to move into than a car does and might not be able to move enough to clear the way. In this case we might have to do more than just move to the side. It might mean turning at the intersection instead of travelling straight through. Your inconvenience from having to do this may be miniscule compared to the need to get emergency services to the scene. This may be accomplished when the traffic lights are red before cross traffic recognizes the situation and stops. All things considered, one solution to the issue will be waiting for the lights to change so that everyone can proceed safely. Emergency responses do not always turn out to involve a life threatening situation so waiting may be better than risking a crash. If you decide that as a last resort, the only thing that you can do is disobey traffic rules and move into cross traffic you are taking a huge risk. If a collision were to occur, the courts and your insurance company will have to apply the laws as they stand to decide liability. Sympathy for your attempt to do the best in a bad situation will be noted but won’t affect the decision. 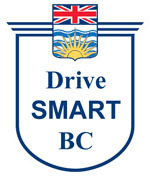 Be the first to comment on "DriveSmart BC – Make Way For Emergency Vehicles"